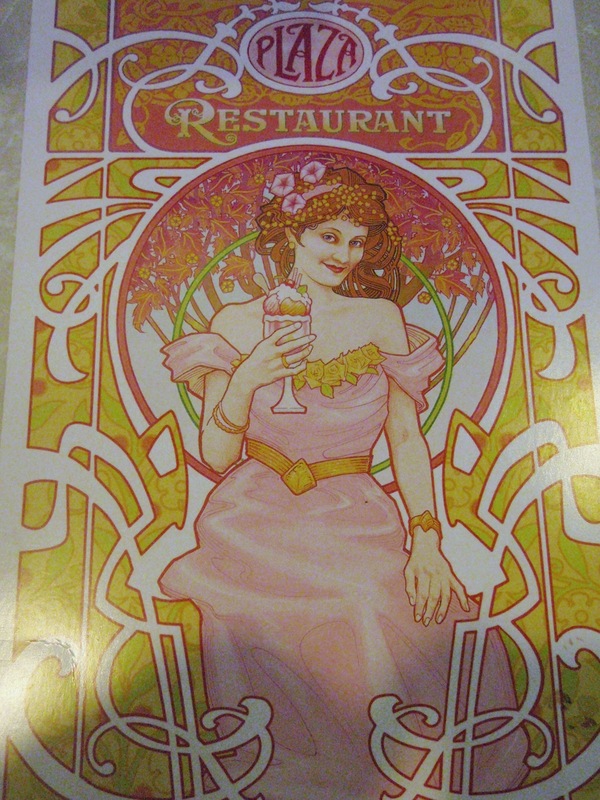 Have you ever been to The Plaza Restaurant in Magic Kingdom at Walt Disney World? If not, then maybe this is a restaurant you should give it a try. We have been able to get walk up reservation on several occasions (although reservations are highly recommend) and we have been seated with in a few minutes of arrival. My husband and I stopped by The Plaza Restaurant when we went to Walt Disney World for the Princess Half Marathon, on a kid free trip! 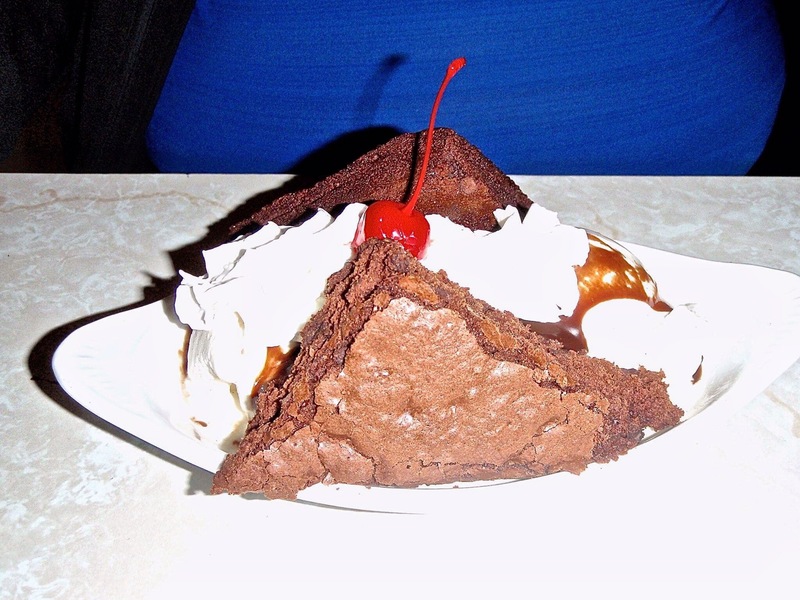 The restaurant is located just off main street, right beside The Plaza Ice Cream Parlor. The Plaza Restaurant is themed in the 1920’s style, reminiscent of something you’d see in the movies Pollyanna or Mary Poppins. We arrived at the restaurant around 6:15 pm and they were able to seated, even though our dining reservations wasn’t until 6:35 pm. We were seated towards the back by the windows, with a beautiful castle view. 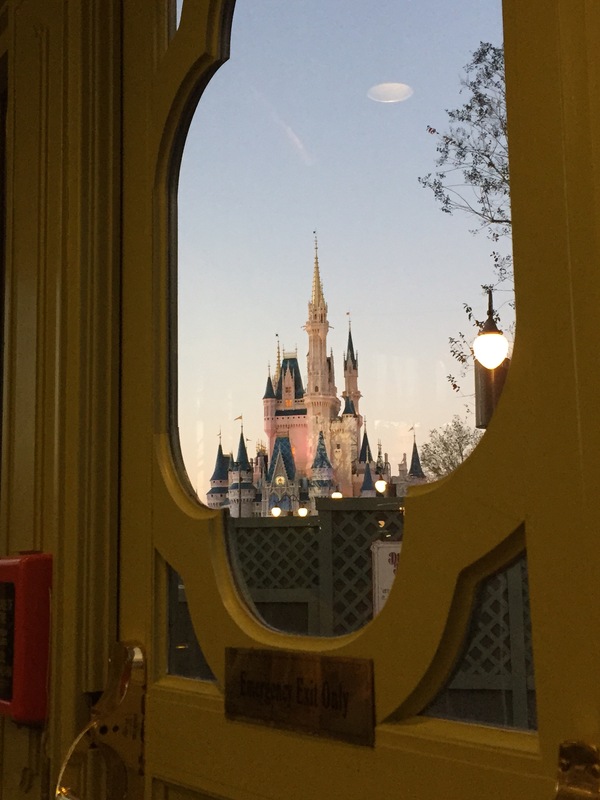 I was able to watch the sunset and take some pretty amazing photos of Cinderella’s Castle during dinner! 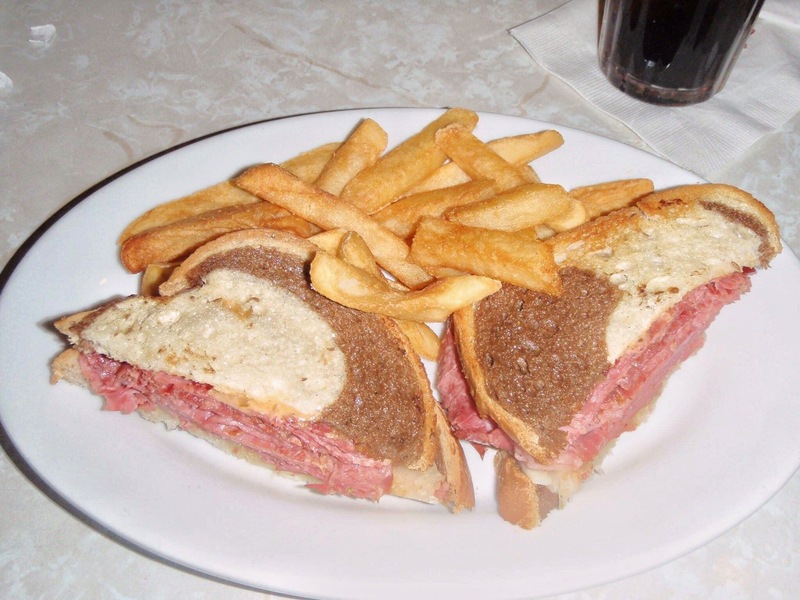 For dinner, I chose the Grilled Ruben with the french fries and my husband chose the Angus Chuck Cheeseburger. For dessert, I ordered the Banana Split and my husband tried the Brownie Sundae. The food was absolutely amazing. The price was a good value for a sit down meal in a Disney theme park. This is a restaurant that we will continue to return to in the future. We enjoyed our meal that night and we shall return to The Plaza Restaurant! If you are looking for a great sit down meal and prefer something quiet and non-character, then give The Plaza Restaurant a try on your next visit to Walt Disney World! 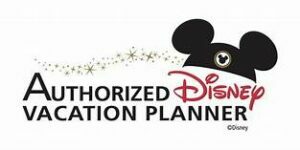 Allow me to help you plan your vacation to Walt Disney World today! Contact me at charlotte@mainstreetmagicllc.com.